Dr. Charles Keller, Scientific Director of the Children’s Cancer Therapy Development Institute, joins us with Dr. Anju Karki, post-doctoral fellow and DIPG Tumor Cell Hotel project leader describe this creative design to affect a real solution for children diagnosed with arguably the deadliest pediatric brain cancer, diffuse intrinsic pontine glioma. Based on the concept of the humorous commercial in1978, the Black Flag Roach Motel, where, “roaches check-in but they don’t check out,” the project is designed to attract and then disempower the tumor cells with a specially engineered “film” surgically implanted in a high-risk procedure. 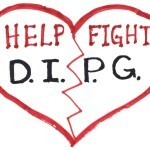 As with all other projects in the 2019 CCTR Research Series, the DIPG Tumor Cell Hotel is funded by a parent-led organization, and in this case, Storm the Heavens Fund of Philadelphia, PA. 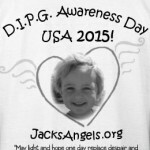 The 2nd half of the broadcast features Executive Director Mina Caroll who lost her 8-year-old daughter Philomena to DIPG in 2016, in a frank discussion about the unconscionable chronic lack of research funding and activity for childhood cancers, with DIPG treatment options seeing no meaningful change since Neil Armstrong’s daughter Karen died of DIPG in 1962. 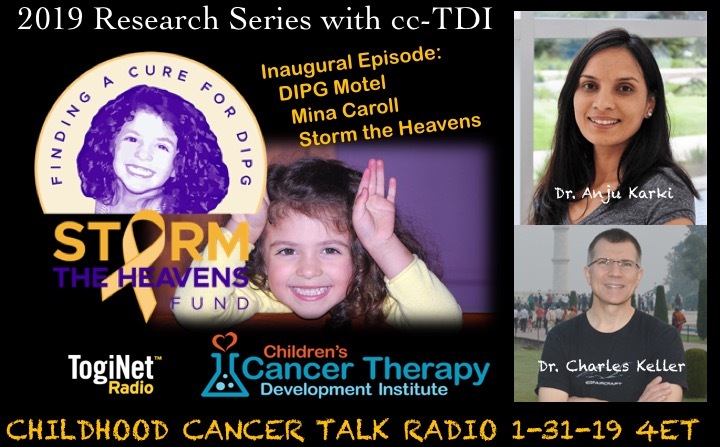 CC-TDI, CCTR 2019 Research Series, Children's Cancer Therapy Development Institute, DIPG, DIPG Tumor Cell Hotel, Dr. Anju Karki, Dr. Charles Keller, Mina Caroll, Neil Armstrong, Philadelphia PA, Philomena, Roach Motel, Storm the Heavens Fund. Bookmark.